Théodred was born to King Théoden and Elfhild, who died in childbirth. 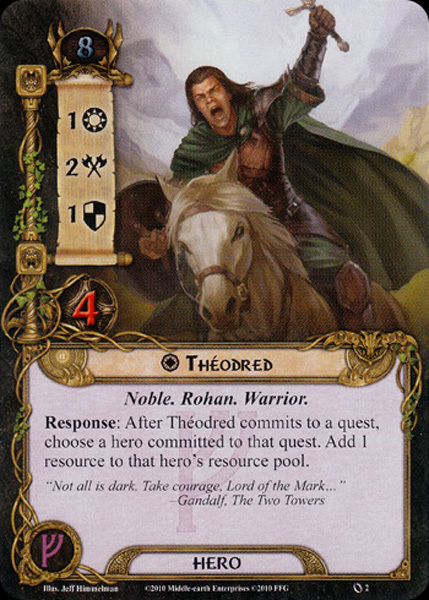 Because of his state as prince of Rohan, Théodred also held the title of Second Marshal of the Riddermark. 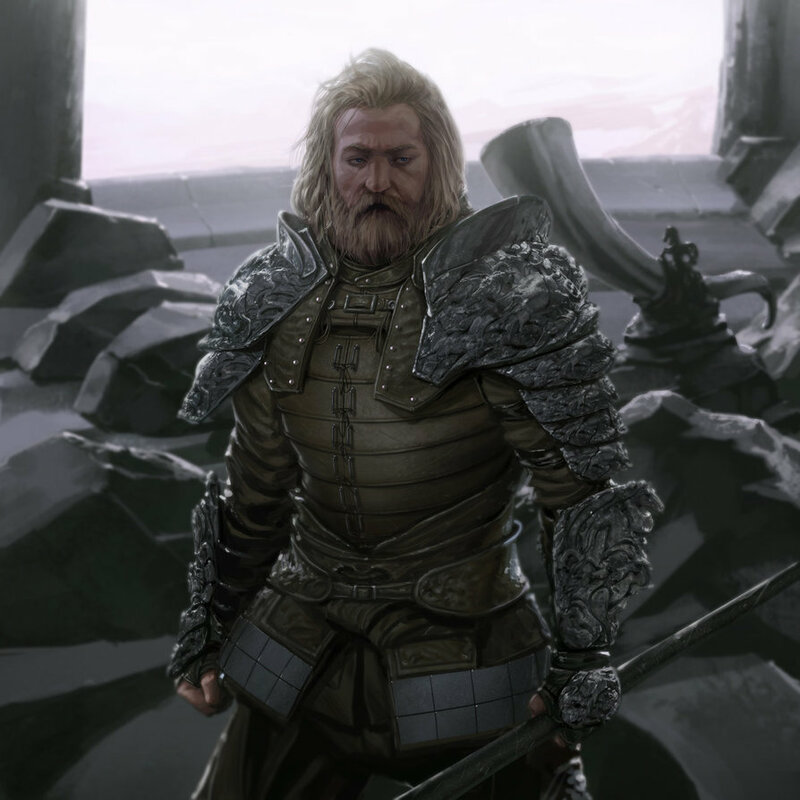 While his father's health began to fail and Gríma gained more influence, Gríma considered Théodred and Éomer his chief opponents. He tried to bring the two cousins into discredit with Théoden, but their steadfast loyalty even in his apparent dotage. Gríma therefore tried to play them one against the other in the mind of Théoden, representing Éomer as ever eager to increase his authority. Meanwhile Saruman planned to have the Prince killed. He sent forces against Rohan on February 25, T.A. 3019 with explicit orders to kill the Second Marshall at all costs. Théodred was warned by his scouts of a mustering of troops at the Gate of Isengard and he reinforced the approaches. He passed over the Isen with the main strength of his cavalry to overthrow Saruman's apparent army before it was fully prepared. He scattered the vanguard, but then discovered the main host prepared for assault and ordered a retreat while the rearguard under Grimbold had to turn and drive back their pursuers. Retreating, he appointed Grimbold in command of the western bank garrison while himself attempted to man the eyot in the midst of the river. Then a van came and with unexpected speed soon took control of the eastern end of the fords; the fiercest of Saruman's warriors and Orc-men abandoned the rest of the battle and directed their full might around the Prince. As Grimbold came to his defense, Théodred was hewn down by a great orc-man, whom Grimbold slew. Théodred's name is probably taken from the Anglo-Saxon words þēod ('folk', 'people', 'nation') and rǣd ('counsel').